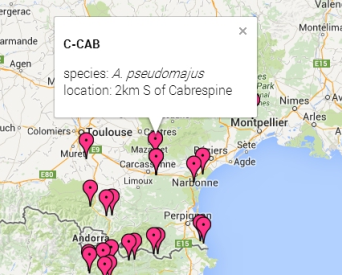 Welcome to AntSpec, a repository of data relating to Antirrhinum species. 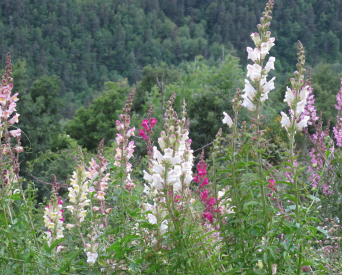 By studying the distribution of Antirrhinum species across Europe we are aiming to gain insights into the evolutionary processes that led to that distribution. The Species Compendium looks in a broad scale at a range of species whereas the Hybrid Zones section looks in finer detail at two particular Antirrhinum subspecies. 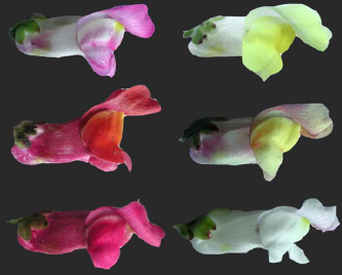 The Genetics section explains how the genes controlling flower colour interract to produce these beautiful flowers.